After check in you will meet your guide for an orientation and overview of the upcoming adventure. There is a number of exciting optional activities available on this trip such as whale watching tours, flightseeing with glacier landing, sea kayaking you name it. You are welcome to ask your tour guide for more information on those activities. 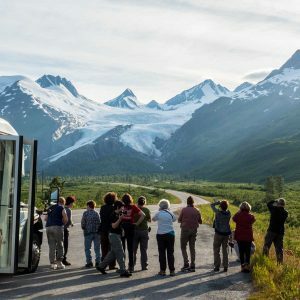 Sit back and enjoy the spectacular landscape roll by as we head northbound until we reach our first scheduled stop Talkeetna. The small frontier town, with a population of roughly 400 souls, is the starting point for many Mount Denali ascent attempts. Magnificent views of Mt. 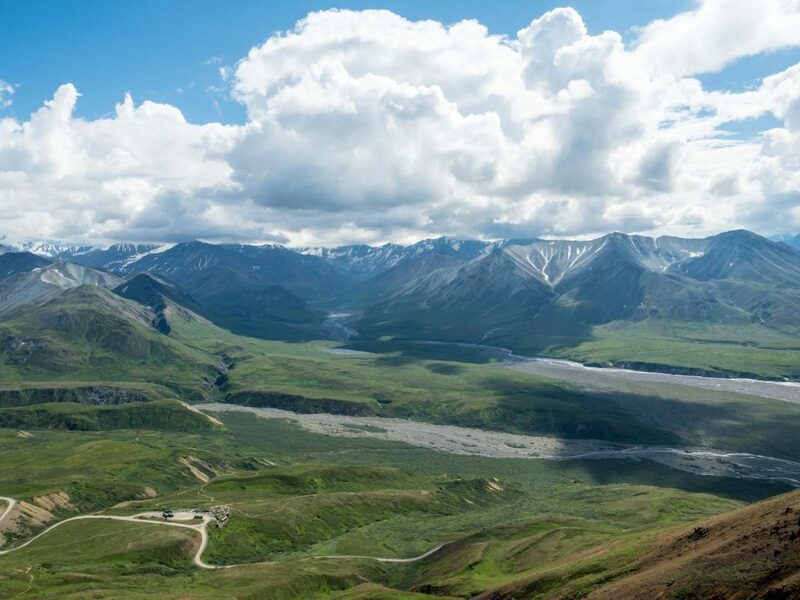 Denali provide a glimpse of what can be experienced on one of the available glacier flights (optional) Time will be allowed for browsing local shops and for some local Alaskan cuisine, such as, Reindeer Sausages and locally made ice cream. 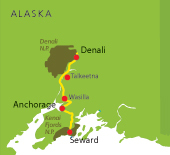 After Talkeetna, we continue north until we reach Denali National Park, where we‘ll make a short stop before heading to dinner and checking into our hotel. 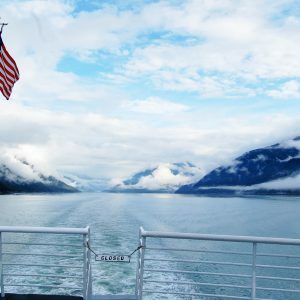 We choose from a selection of quality restaurants to take our guests with a nice variety of Alaskan fare, including seafood, and steak. Without a doubt this is one of the highlights of Alaska. 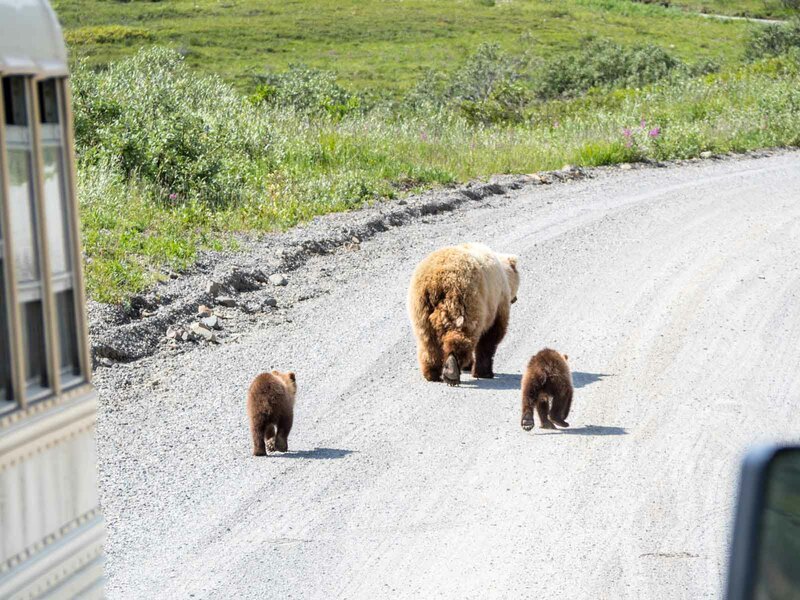 In the morning we will go on a Denali wildlife tour (included). 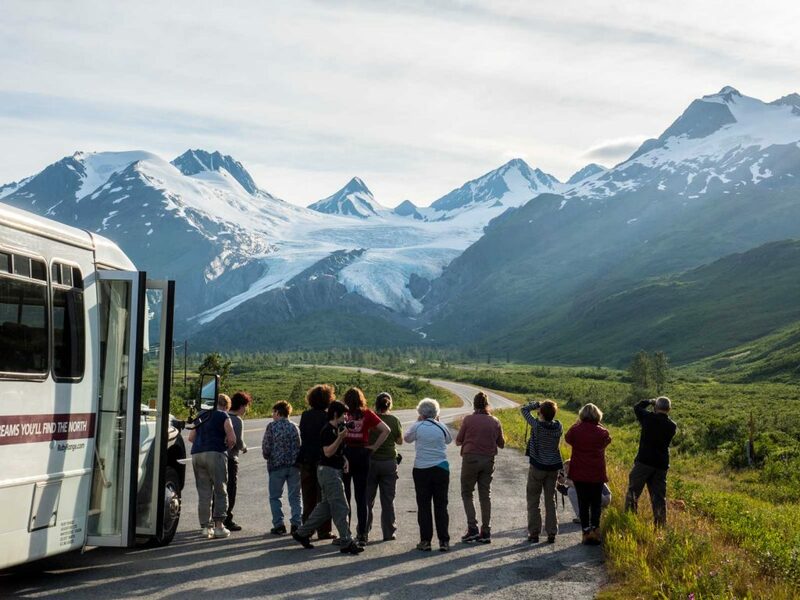 A park owned shuttle bus takes us deep into one of the most scenic landscapes in North America. Besides stunning views of Mt.McKinley a variety of wildlife such as Grizzly Bears, Cariboo, Moose and Wolves can often be spotted. For those interested in whitewater rafting can do so for an additional cost on the Nenana River at 6:30 pm. Keep in mind it's bright here until almost 11pm or 12 am in the summer so darkness will not be factor. After breakfast we leave southbound towards other scenic and historic highlights. The first scheduled stop will be in the dog-mushing town and once almost Alaska state capital, Willow. The town hosts several sled dog races each year, including the Iditarod, an endurance race of over 1100 miles from Anchorage to Nome. We‘ll visit an active dog kennel to experience a presentation about Alaska‘s state sport and take a guided dog-powered ride with a genuine dog team and experienced dog musher. In the afternoon we‘ll continue south to the Mat-Su Valley. Once completely glaciated, the area encompasses thousands of rivers, lakes, and streams and is home to a great variety of wildlife and only about 30,000 people. In the morning we’ll depart east on the Glenn Hwy, a WWII era road, cut through a rugged mountain backdrop with the occasional moose crossing. The 1.5-hour drive is stellar, and uphill. We travel from the mouth of the Matanuska River to its source, the Matanuska Glacier. 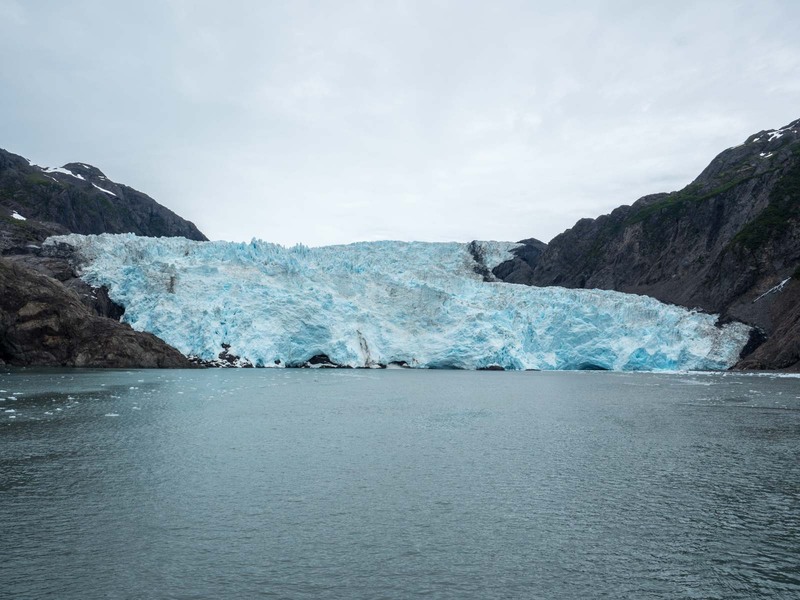 When we arrive, we‘ll check in and gear up for an unforgettable hiking experience on Alaska’s and America’s largest roadside glacier. After everyone is back on thawed ground we‘ll make a picnic lunch in the area overlooking the glacier. Before heading back towards civilization, we stop at Hatcher Pass in the Talkeena Mountains. The historic Independence Mine on top of the pass is a great place to get a sense of what life must have been like back then. 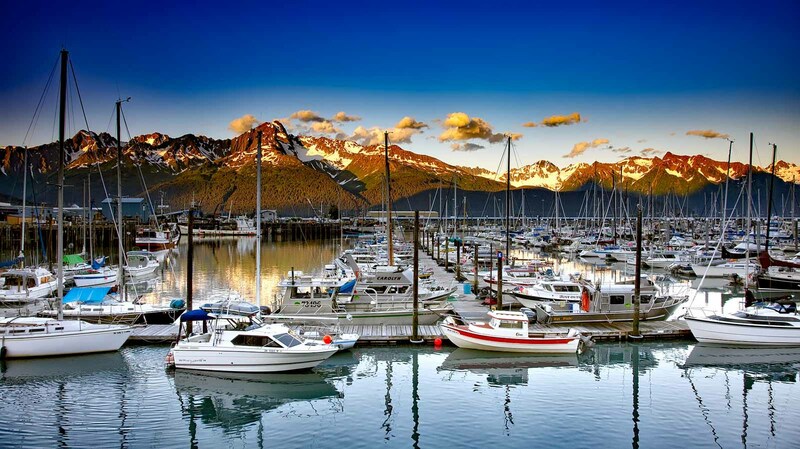 In the morning we’ll continue our journey to the adorable coastal town of Seward. 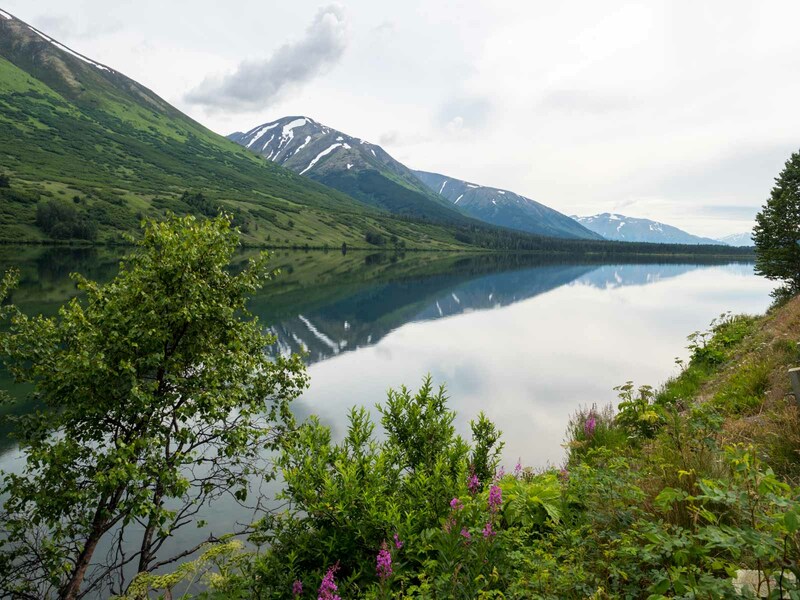 The views of the snowcapped Chugach and Kenai Mountains, that seemingly rise directly from the sea, are just the tip of the iceberg when it comes to the highlights of the day. Our first scheduled stop will be at the Alaska Wildlife Conservation Center. The property, which has the likeness to a really big farm, offers some big photo potential. 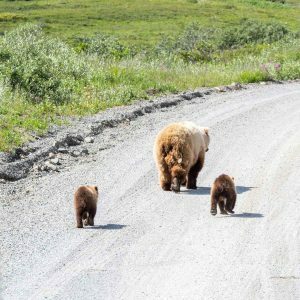 Grizzlies, Black bears, Wood Bison, and Musk Oxen are just a few. After lunch and our arrival in Seward we'll travel on a small dirt road out to the community of Lowell Point. 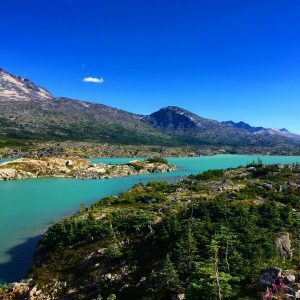 Spawning Salmon, bald eagles, majestic rainforest groves and spectacular glacier views are amongst our experiences on a short hike down to Tosina Beach. can organize a professionally guided kayak trip for any skill level to various places in Resurrection Bay and the surrounding area. At Bear Glacier, for instance, you can kayak among icebergs and at the face of the largest glacier in the national park arriving and departing either by helicopter or jet boat. In the morning we return to Anchorage on the Seward Highway. Our first scheduled stop is the former Gold Rush and present ski resort town of Girdwood, where we‘ll take a tram ride to the top of Mt. Alyeska and have lunch at the top. The view is splendid; the Chugach Mountains on one side and Turnagain Arm and Fjords on the other. Then with what time we have remaining we‘ll continue to Anchorage. Flights should leave no earlier then 4:30 pm for a domestic and 5:30 pm for an international departure. 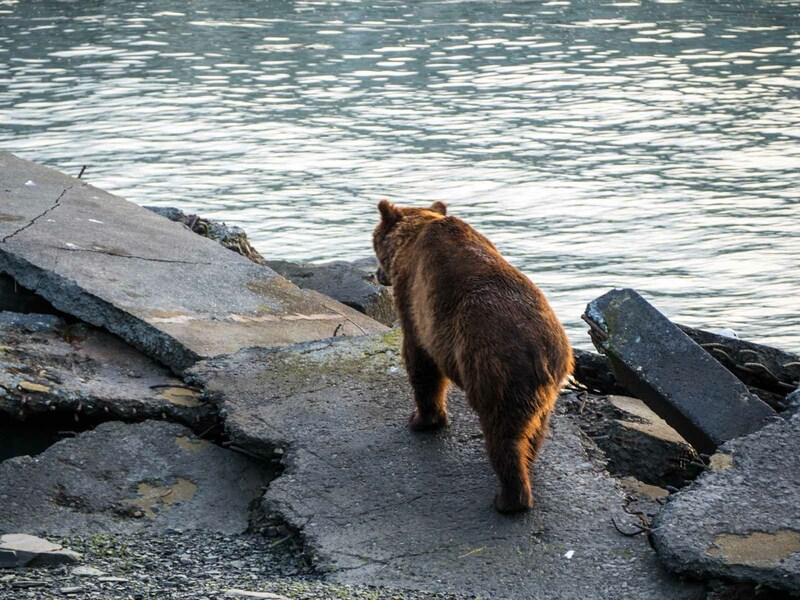 If you are staying in Anchorage or Alaska for additional days your guide can give you advice and recommendations on what to do. Just ask. We hope you enjoyed your trip!